•Add beaten eggs, melted butter and erthyitrol to the dry mixture and mix well. 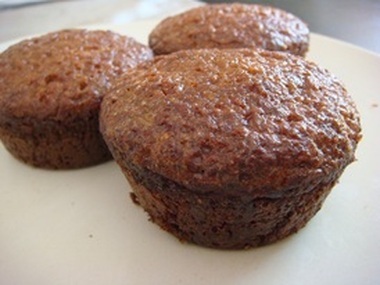 •Fill muffin cases just over half way with the batter. •Bake for 20 minutes until the tops are golden brown. Cool in the pan for a few minutes, then remove. •Mix the additional cinnamon and melted butter then dip the tops of the muffin in this mixture. This entry was posted on 06/02/2012 by glutenfreeuae in Baking, Recipes and tagged breakfast, cupcakes, gluten free, glutenfree, muffins.